Welcome to June's edition of Pick 3! We promise to provide you with lots of summer inspiration! To kick off summer, we are sharing our teaching and non-teaching pins for our June and July Pick 3 Parties! 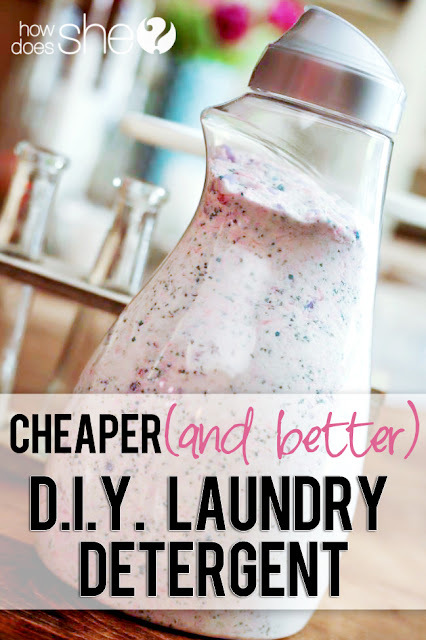 My first pin is the homemade laundry detergent recipe I've been using for over a year now. It's the perfect summer project! I have saved so much money by making my own laundry detergent! Before I found this recipe, I had to buy Tide Free because of my daughter's allergic reactions. This homemade laundry detergent doesn't cause her any allergic reaction, and it has such a nice, soft fragrance. It's easy and not too expensive to make, and it can last a really long time depending on the amount you use. They recommend using 1-2 tablespoons per load, but I usually use a little more than that. I also like to use Downy Unstoppables Scent Booster instead of the Purex, but you can experiment with what you like to use. I make mine in a rectangular Sterilite container because it's easier to mix it up. After I mix it up, I pour it into the Unstoppables and other containers Oxy Clean containers I've collected and use those to store it. Just be careful when you grate the bar of Zote soap! I grated my fingernail off one time. Ouch! My next pin is an adorable summer home decor piece I found. Nothing reminds me of summer more than DJ Jazzy Jeff and Will Smith's Summertime. She even provides the cute printable banners! I love the shabby chic look of this easy home decor project! My last pin is classroom related! 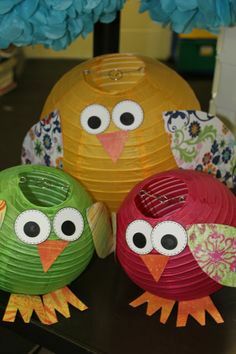 I have a bunch of these paper lanterns from my girls' bedrooms that they no longer needed after we redecorated. I have wanted to make these adorable owls for the longest time! All you need are paper eyes, a beak, feet, and cute wings you can cut from scrapbook paper. They will look so adorable on top of my bookcase! Now it's your turn! We would love for you to link up and share your top three Pinterest Pins for June! This linky is hosted on the third of each month- so come join in on the fun! For our June and July Pick 3 Pinterest Parties, feel free to link up your favorite recipes, home decor, and any other favorite non-teaching and teaching pins! That window and bunting banner is SO awesome. I am already trying to think of other ways I could use it. I have a window similar to that one that I have been dying to do something cute with. Thanks for the great pin shares! Those owls are soooo you! They are adorable! Great pins! Thank you again for hosting this awesome link up each month! It is my favorite! Summa, summa, summa time... time to sit back and unwind! Love, love, love that window! How cute are those owls??? I totally want to make them =) Thanks for sharing and hosting! 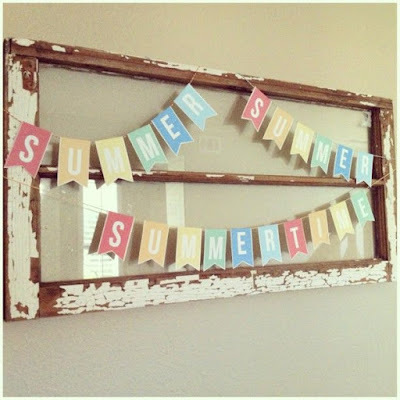 That summer decor project is super cute! Love it! We made a homemade laundry soap once. Used it for years! Worked really well. Okay, Marissa, I can't even handle how cute that window bunting is! I need to make that happen in my office. I'm running out of room for my ideas... LOL!